The Mirador de Ordiales, is an easy and well marked route. 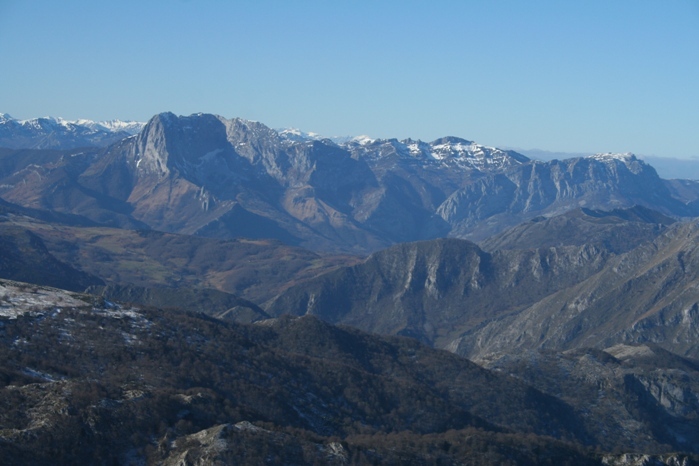 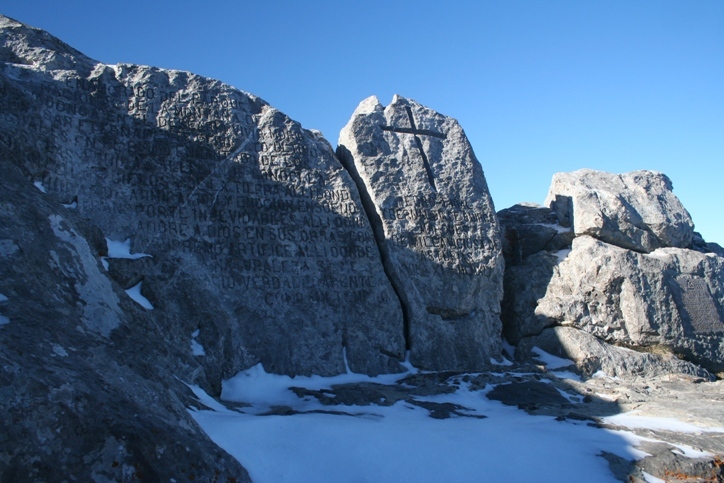 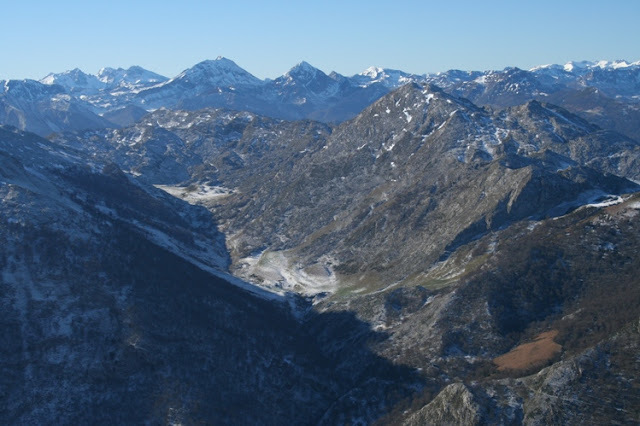 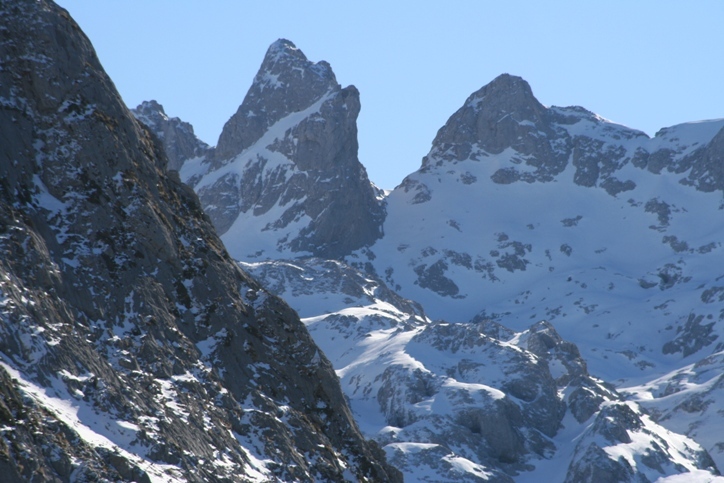 Apart from superb views, it holds the mortal remains of Pedro Pidal, Marquis of Villaviciosa, mountaineer and a great lover of the Picos de Europa, who climbed the Naranjo de Bulnes (Urriellu) peak for the first time. 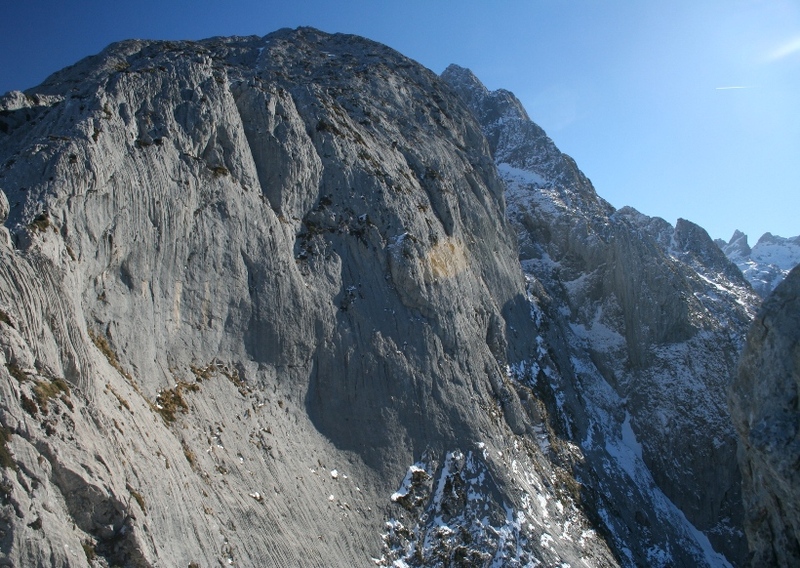 Departing Point: Pan de Carmen (1.087 m ). 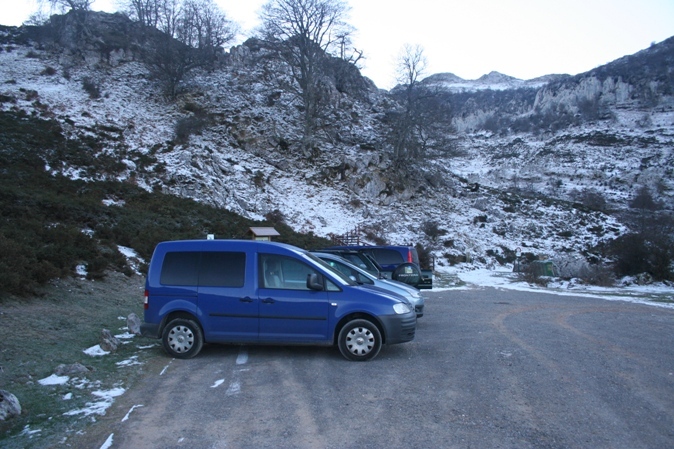 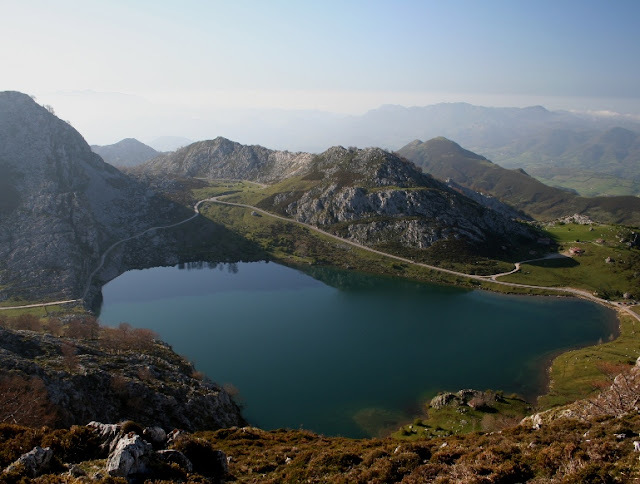 From the lake Enol take a gravel path suitable for any vehicle and drive about 2,5 km until the gravel path splits. The left branch take us to the parking area of Pan de Carmen a few meters below. 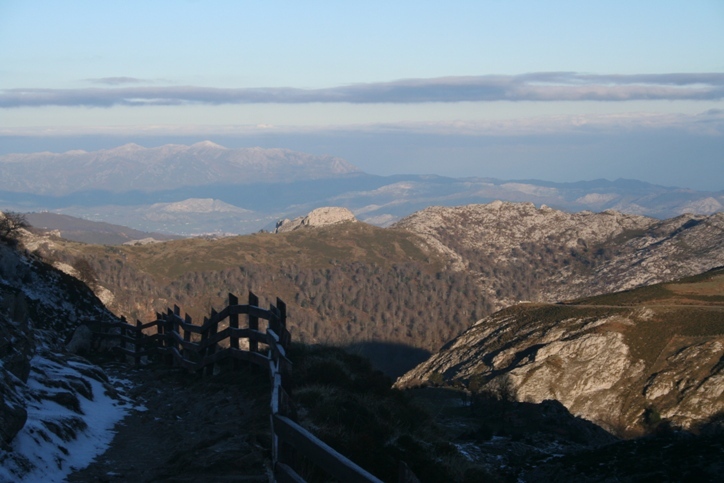 The route passes through a great variety of scenery and follows the marked trail PR-PNPE 5: MIRADOR DE ORDIALES. Leave the car in the parking area, and follow the well maintained path (restricted use for vehicles). 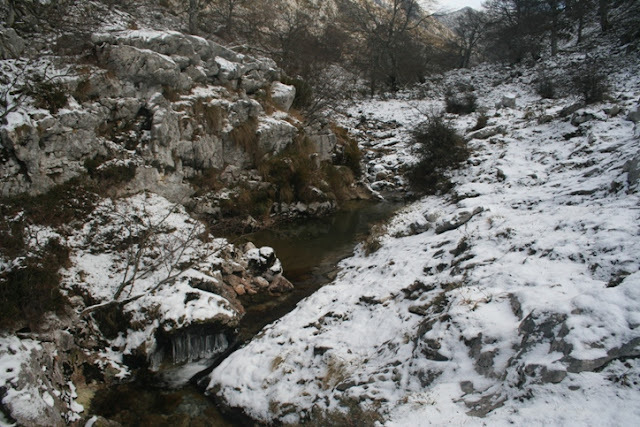 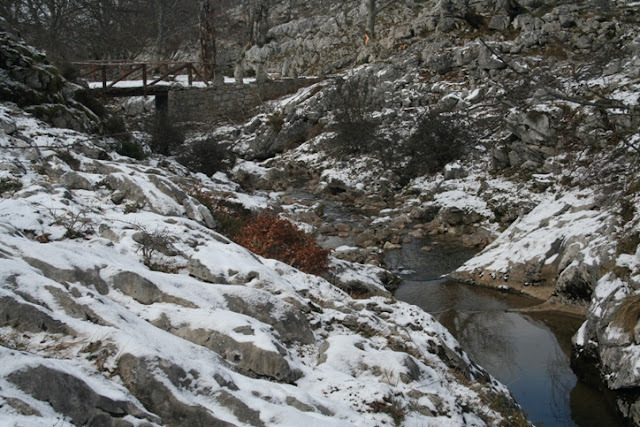 You pass through a small beech wood and reach a bridge near the place known as “el pozo del aleman (“German’s pool”). 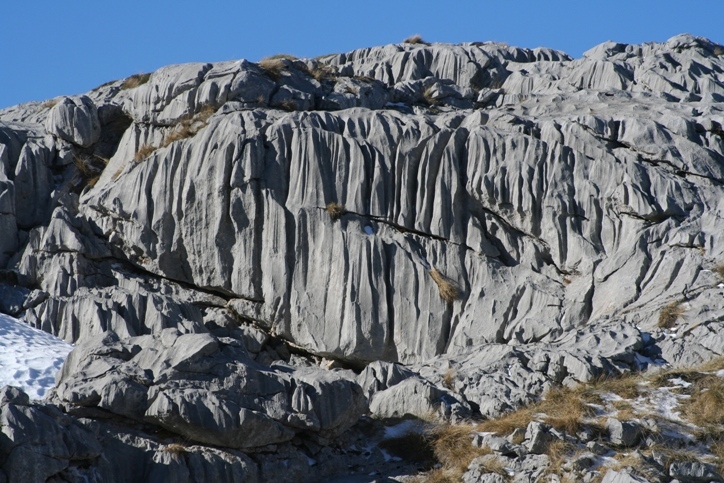 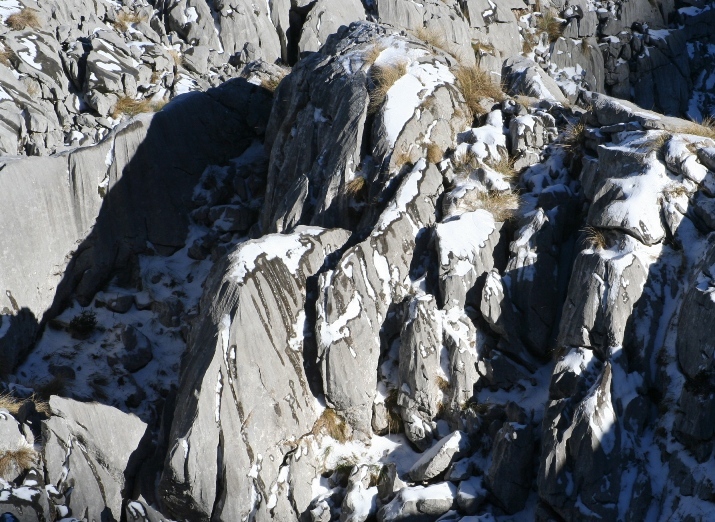 A good path climb up to the majada de la Vega de la Piedra where you pass a large boulder of white limestone. The path continues towards the Collado de la Prida and the Vega of Canraso, sometimes marked by huge limestone rocks stuck in the soil. 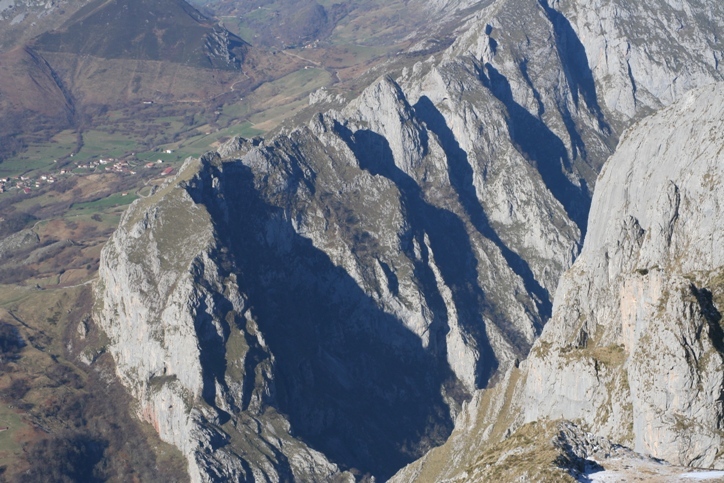 At the end of this valley the trail steepens somewhat until we gave view to the majada de la Rondiella. 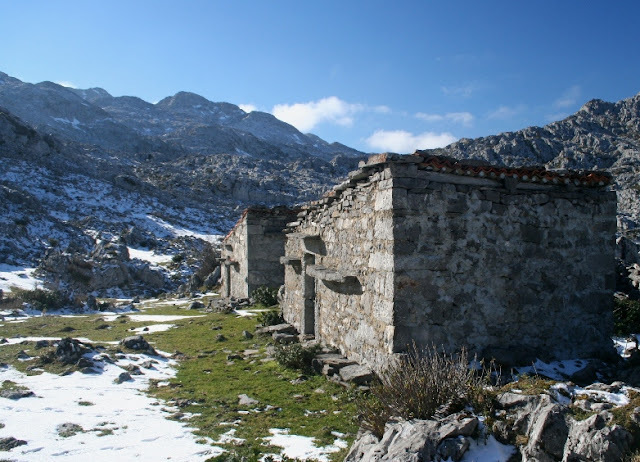 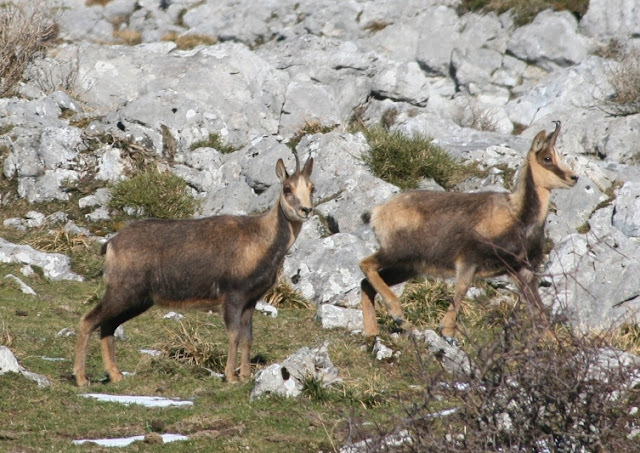 We continue south to gain the next pass “Collado Gamonal” (1.491m). 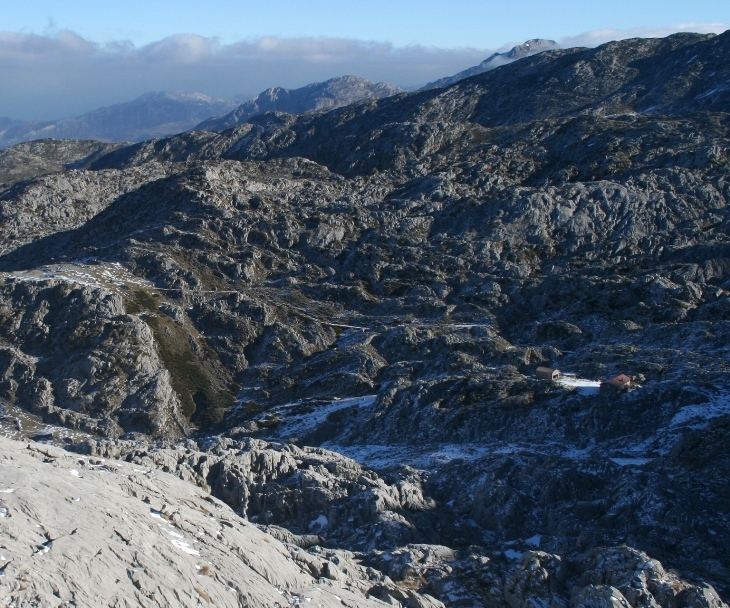 From here we can see at our feet Vega Redonda refuge (1.410 m). The path does not go directly to the hut, it passes some meters to the left, so we continue South for some 100 meters until the next junction. 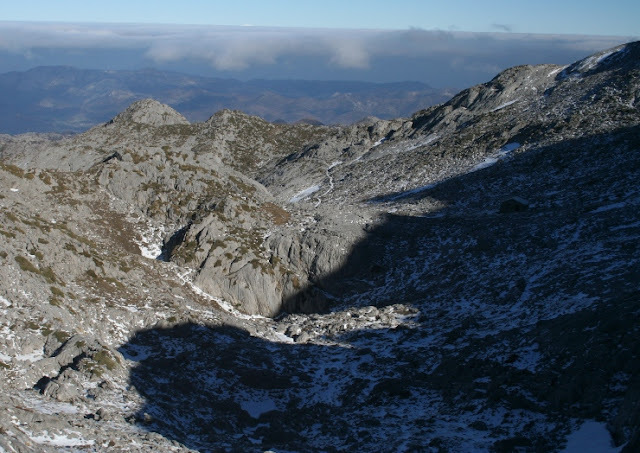 The right branch is the one that takes us to the Mirador de Ordiales, we follow west and soon the trail switchbacks up for a while to climb the Cueñe Cerrada gully. 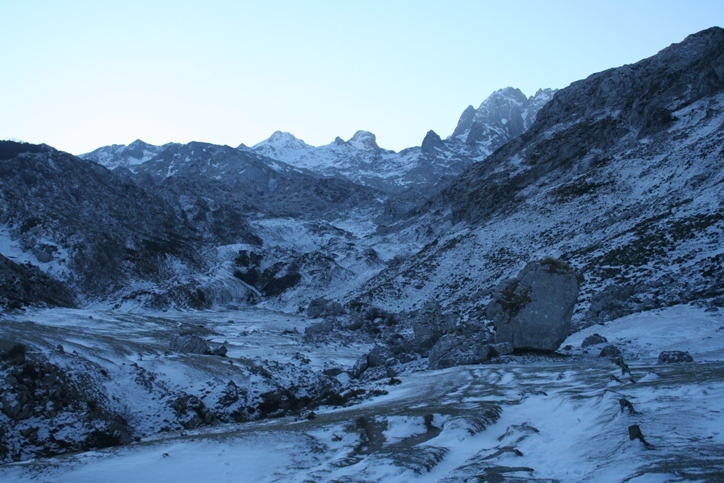 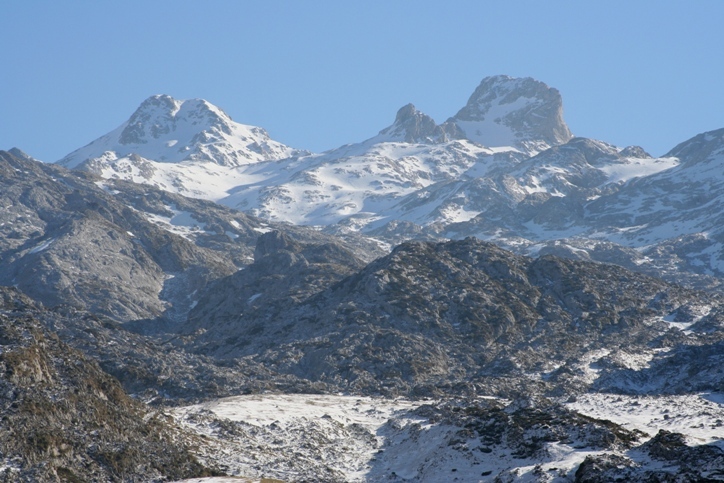 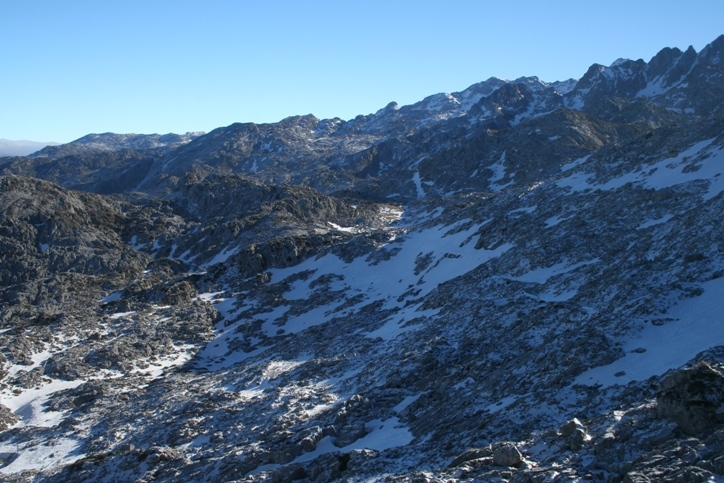 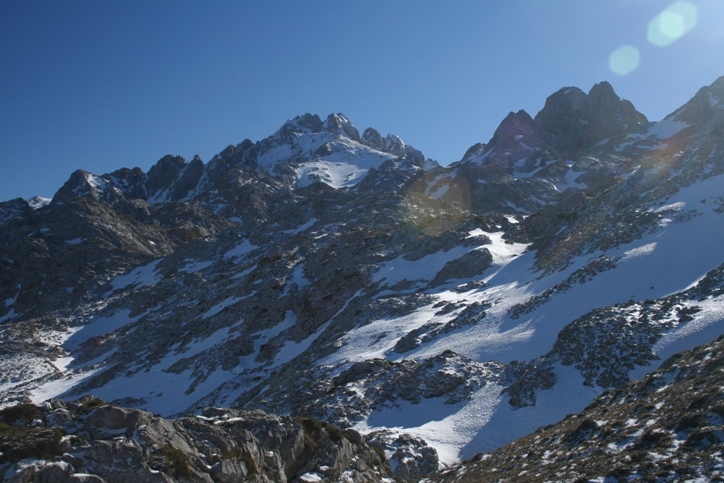 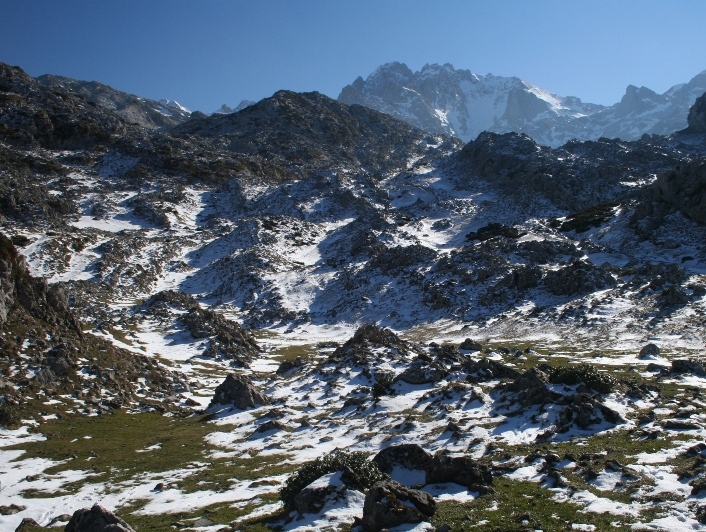 We continue westward crossing an area with beautiful rock formations toward the next pass“Sierra Pelada”. 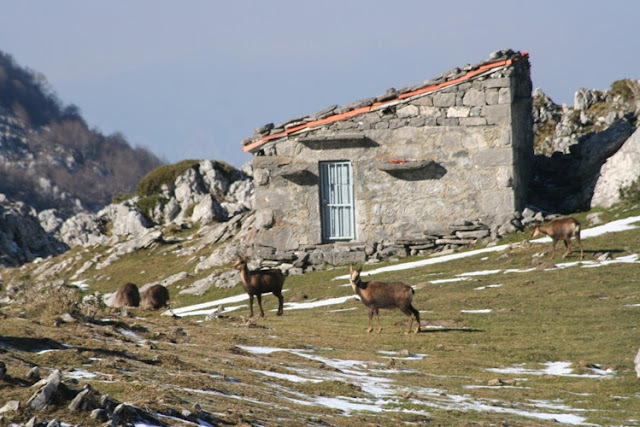 The path turn south, and soon after passing a small house belonging to the National Park Staff, we reach the Mirador.
" 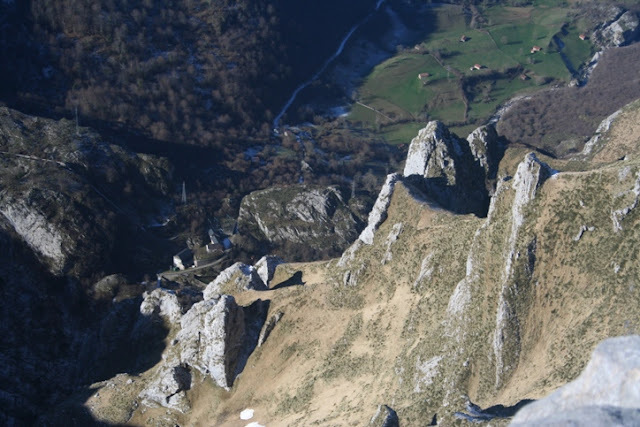 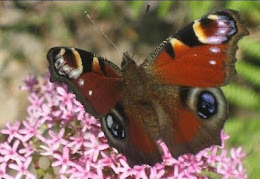 Lover of the National Park of Covadonga Mountain, I would love to live and die and rest forever in Ordiales, in the enchanted kingdom of chamois and eagles ... where we worship God in his work as a Supreme Artificer, where Nature truly appeared to us as a temple"